As Warren Buffett once said, “You must understand the things you invest in”. This advice applies to cryptocurrencies as well, so this time we will discuss the main types of tokens and what particularities they have. Why is important to understand each one of them? Because each of them has different purposes and functionality. Also, each token will have its own unique performance which will be influenced by a number of factors, some that you might already know, or some that will appear along the way. 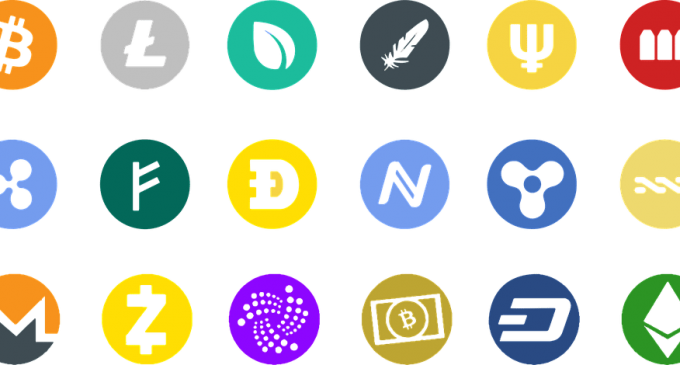 If you want to invest in cryptocurrencies, you will first need to understand what kind of token you are buying. We know that some of you want to find out which token will skyrocket just like Bitcoin did in 2017. However, that is not going to happen since this article is just information and we must mention that no digital token mentioned in this material should be considered as a good or bad investment. Without further a due, let’s jump in and see what types of tokens you need to know if you, especially if you want to invest your money. Probably the most common type is the utility token. As the name itself states, in this time we are talking about a token that enables you to do something with it. The most popular example is Ether, the token that fuels the Ethereum platform. With Ether, you are able to use the main features of the platform (like writing your own software and using smart contracts). Other utility tokens which we can mention are dock.io and Singularity Net. Of course, the examples can continue, but we believe the ones above are enough. The simplest way to find out whether a particular token is in this category is to read the white paper of the project or search for information on their website. In this case, we are talking about tokens that act just like an actual asset or security. When a person buys this kind of tokens, he/she basically owns a portion of the business behind the token, is entitled to receive dividends or interest payments. It means the person who buys the tokens literally becomes like a stockholder. There are some blockchain startups that use this kind of tokens. Kairos, Vaultbank, Spice, and Blockchain Capital are just a few of them. What we must emphasize here is that regulatory issues might intervene. Since we are talking about securities, the issuer must comply with the regulation that is currently in place for securities. We have already the SEC in the United States and the FCA in the United Kingdom, investigating token sales because of the need to comply with the securities legislation. The most popular tokens are cryptocurrencies. Their main function is to serve as a medium of exchange, just like the actual money we are currently using. However, there are some big differences. There is no public authority that issues and controls this currency tokens. They are privately-owned and behave according to the rules set by the company that created them. Also, the market value will be influenced not just by supply and demand, but also by the functionality of the currency. A currency token which can be easily used for the purchase of goods or services, has low and decent fees, is created on a deflationary plan (the best example is Bitcoin, which had reached high levels because of limited 21 million supply and high difficulty of the system which leads to a lot of energy used by the miners), and operates on a business model that aims to expand its use, is the kind which investors are generally looking for. Currently, there are a lot of currency tokens in the market, but even if someday in the future they will manage to replace fiat money, it is hard to believe that all of them will be used. At the present time, if you own euros, US dollars and pounds you can go anywhere. Why would the system change in such a way that a number of over 1,000 coins will be used worldwide? Very unlikely to happen. Another thing which should be noted is the fact that there are tokens which can be included in two or all of the categories above. Ethereum is a utility token but also, it is a currency token. Now, multiple functionalities can have positive impacts on the token, but be aware that it also means problems can appear from a bigger number of directions. What’s interesting, as well, is the fact that little token issuers make clear what kind of tokens they are selling. It seems like it is up to the investors to figure out what kind of tokens he is dealing with.